This exciting 10-week Summer Childcare program is offered 2, 3, or 5 days a week either full or part time for children 2.9 through age 9. The center opens at 7:30AM and closes at 5:30PM. The children enjoy a summer of fun adventures with water play, outdoor sports, nature, arts and crafts, music, and walks in the neighborhood. 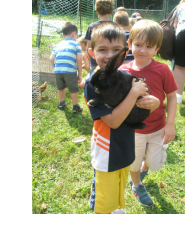 A fun field trip is planned each week, such as bowling, blueberry picking, library, Devens Playground, a train ride to Concord and Discovery Museums, Coolidge Park, and a pizza lunch at Nashoba Club. The children have a terrific summer with wonderful staff!!! 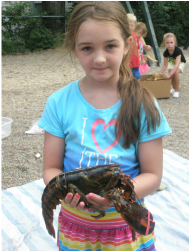 Call ACS at 978-772-1234 for availability and to find out more about this fun filled summer program!